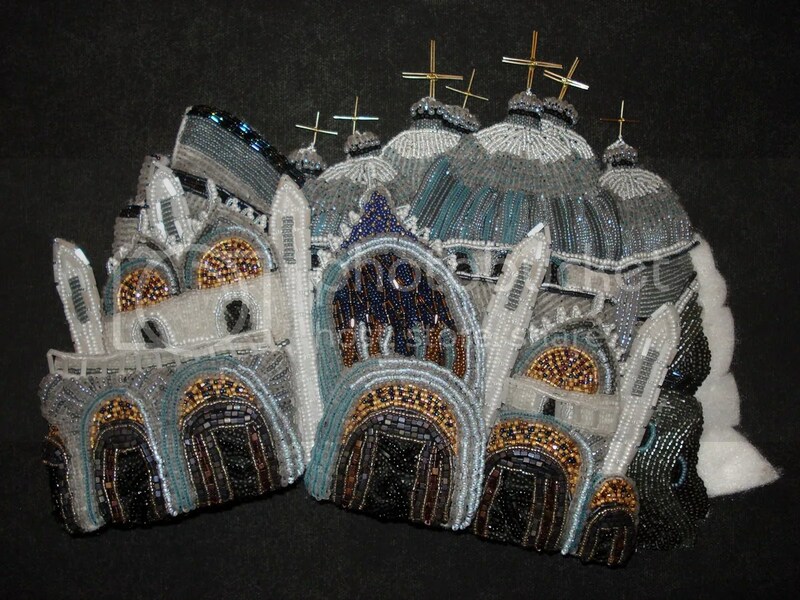 >Beaded St. Mark’s Basilica – Finished? 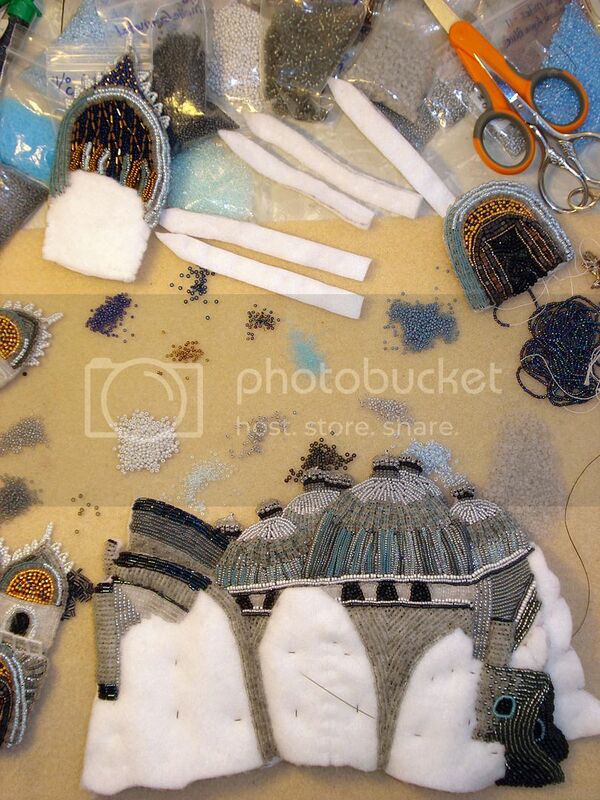 As you can see, I cut out some small felt towers to add to my beaded St. Mark’s Basilica. 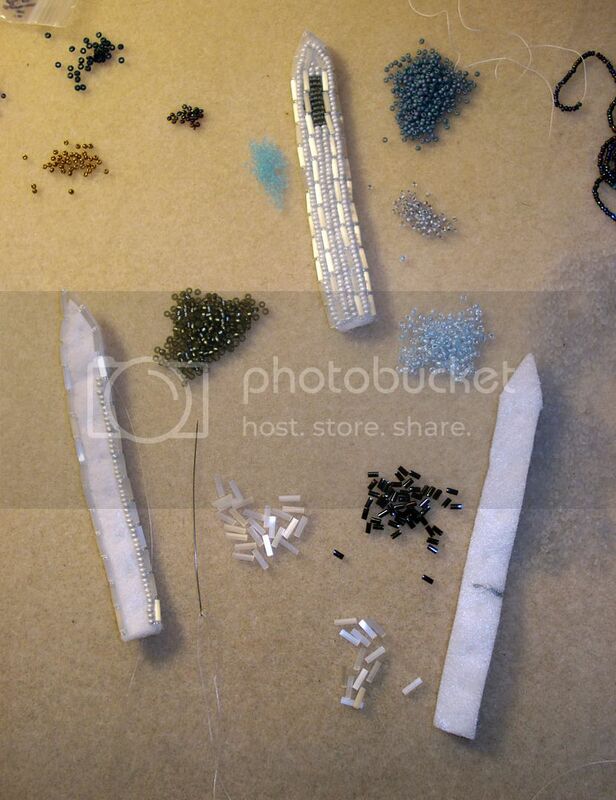 I used bugle beads and size 11 pearl grey seed beads for these, as well as tiny size 15 gray seed beads. After I beaded the towers, I created a handful of gold crosses using gold filled wire. 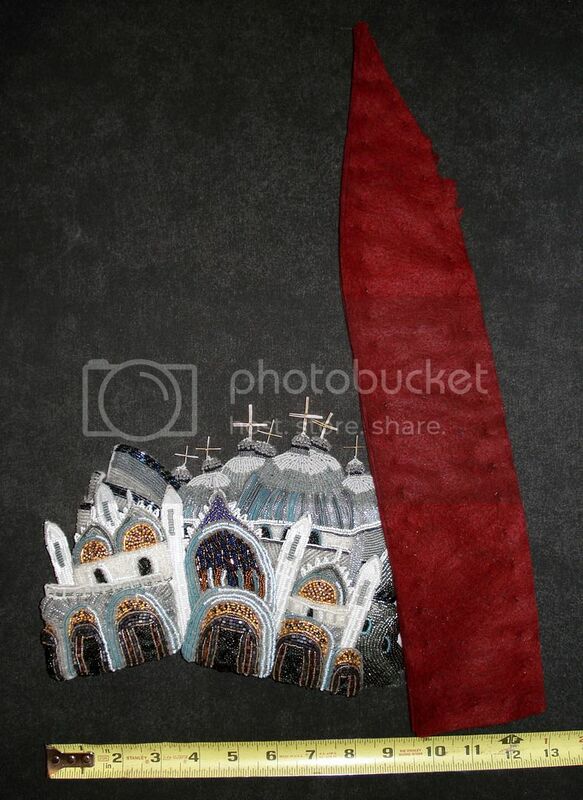 I don’t know if I like these or not, and none of these pieces are stitched together yet, but at least now, I have an idea of what the finished Basilica will look like… It really has taken shape! >Beautiful work and so time consuming! >Wow! I really liked this idea from the start, and it keeps getting better.